This particularly fine antique Persian Tabriz rug is characterized by a beautifully sprawling garous design, consisting of enticingly contrasting vine scrolls of soft, stone blue and bright, rich red. 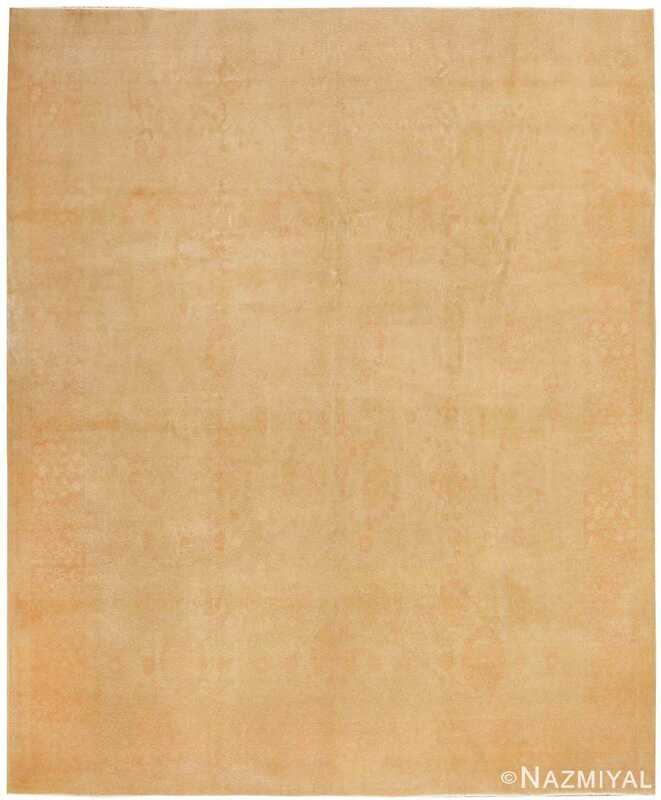 Antique Persian Tabriz Rug, Country of Origin: Persia Circa Date: Early 20th Century – Here is a beautiful antique rug of Persian origin, a delightful, classically composed piece of Tabriz design. This particularly fine antique Tabriz rug is characterized by a beautifully sprawling garous design, consisting of enticingly contrasting vine scrolls of soft, stone blue and bright, rich red. Set against the pale field, these primary vine scrolls stand out especially brightly, their careful outlines cutting through the remainder of this remarkable carpet with a powerful presence. 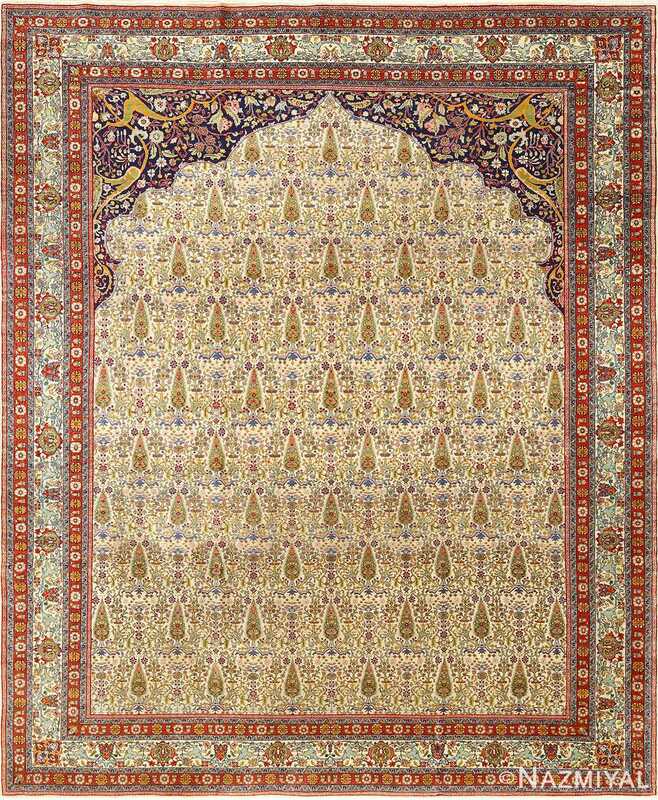 Further rich detail can be found in just about every square inch of this stunning Tabriz. For instance, the gorgeous sky blue field is resplendent with small floral elements and undulating vine scrolls, all of which are amazingly precisely rendered. 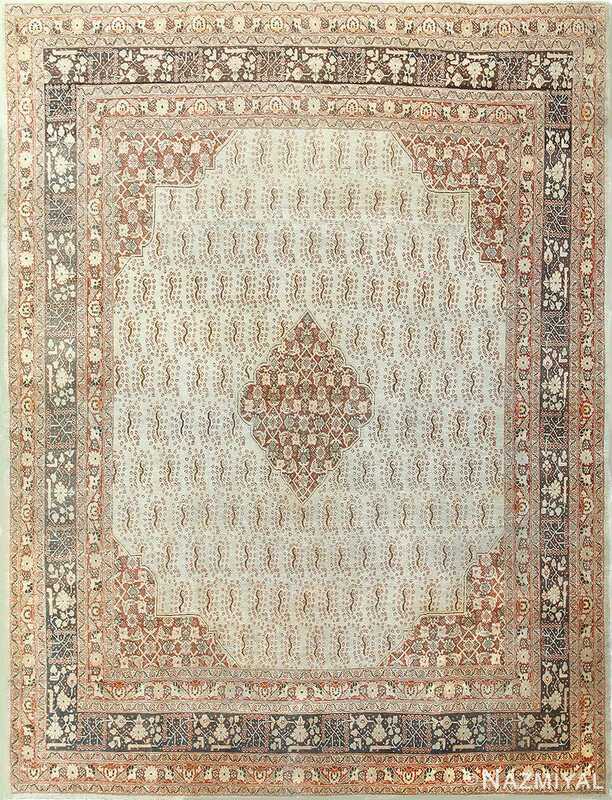 The overall impression left by this lively and dynamic antique Persian rug is one of amazing detail, and of impeccable, classic craftsmanship. 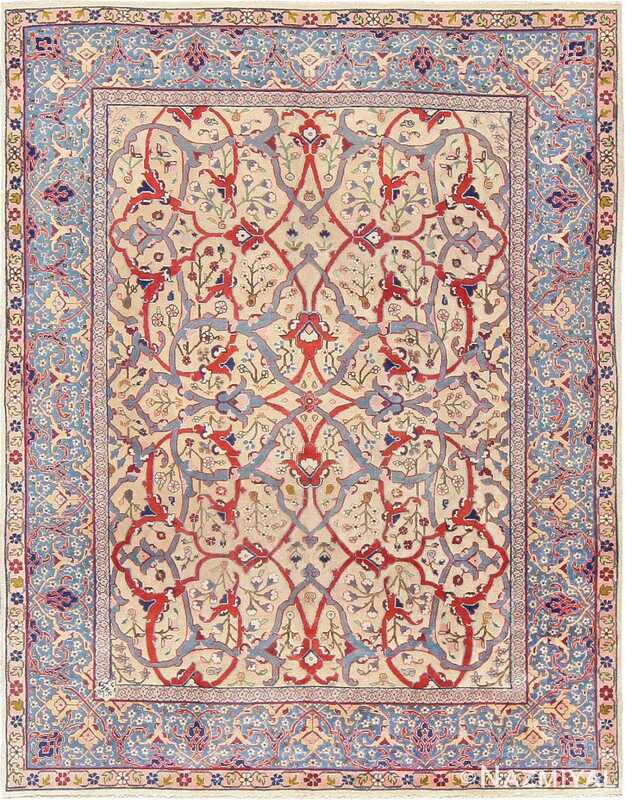 Featuring gentle colors and a subtle all-over pattern, this Turkish carpet embodies influences from the Ottoman court and Persian weavers in Tabriz.